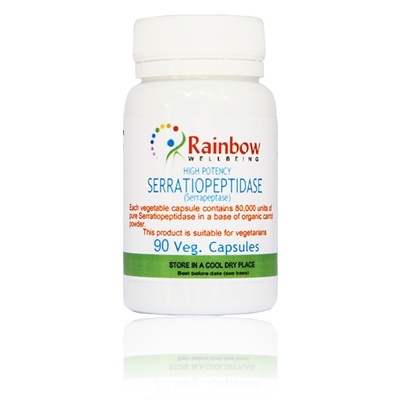 90 Vegecaps, Each Capsule Provides: 80,000 IU Serrapeptase, 540mg Organic Brown Rice Powder (natural carrier) Take 1-3 vegecaps daily. Take 1 - 3 vegecaps daily. It can be used alongside medication, is safe for children & pets & during pregnancy.